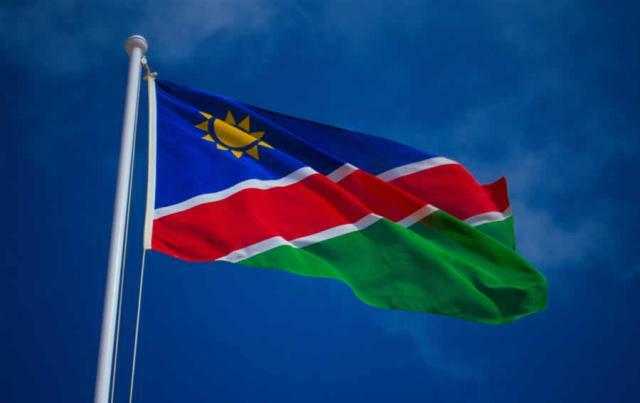 The National Flag is a symbol of Namibia's struggle for national unity. It symbolises peace, unity and a common loyalty to Namibia. Green symbolises Namibia's vegetation and agricultural resources. The Coat of Arms represents Namibia and its people. It is also the official emblem of the Government Service as a statute body. The Coat of Arms is therefore depicted on official stationery used by public servants. The National Flag is reproduced on the shield. The two animals and the plant on the Coat of Arms are used symbolically. The African Fish Eagle has excellent vision and is thus a symbol of the farsightednes of the country's leaders. The Oryx antelope is renowned for its courage, elegance and pride. The Welwitschia Mirabilis, a unique desert plant, is a fighter for survival and is therefore a symbol of the nation's fortitude and tenacity. The headband refers to the traditions and the diamond shapes of Namibia's natural resources. 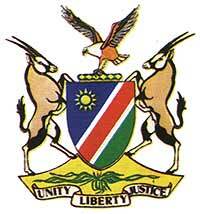 The motto "Unity, Liberty, Justice" enshrines the key principles embodied in the Namibian Constitution. The name of the National Anthem is Namibia Land of the Brave. It was composed and written by Axali Doeseb. Namibia Land of the Brave represents the history of Namibia and its people. It describes their will to survive amid hardships and, most importantly, their love for their country and their nation. It reminds them never to forget the past, but to strive for national unity. The Flag of Namibia's President represents the supreme authority of the head of state and chief executive and is flown on the President's car. 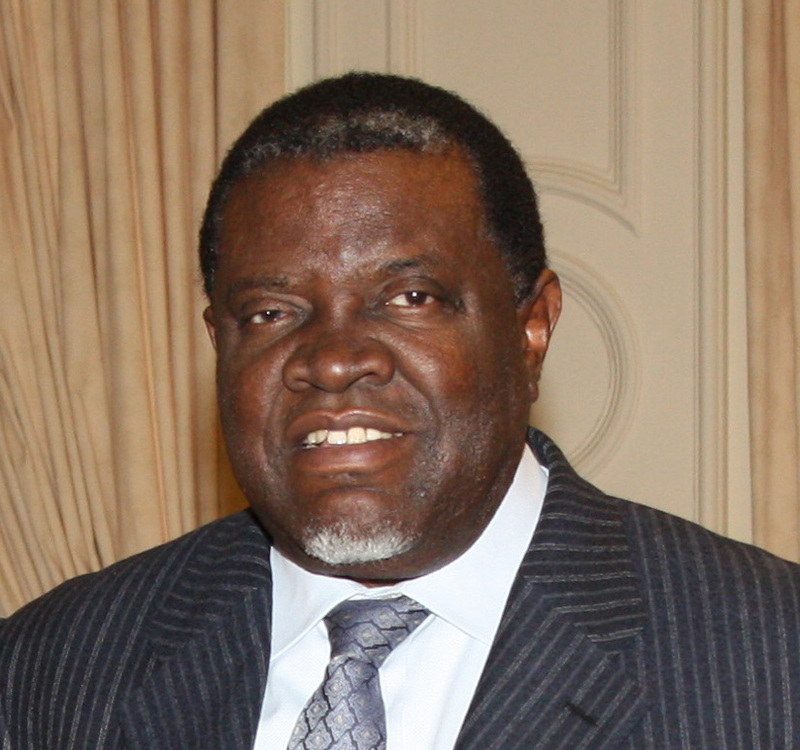 The use of the President's Flag is restricted to Namibia. When the President travels to other countries only the National Flag is used. This means that only the National Flag can be flown in foreign countries to represent Namibia, while the President's Flag represents the status and authority of the President in Namibia. The National Seal is used by the President to verify the authenticity of documents of state. The National Seal bears the national motto "Unity, Liberty, Justice" twice. Once on a riband beneath the Coat of Arms and again circumscribed on the rim. All national symbols are protected by law, which prohibits any act of intent to insult, display contempt or hold them up to ridicule.